The Cossacks were a bunch of fiercely independent soldiers with a unique warrior culture. That’s exactly why the new Europa Universalis IV expansion The Cossacks focuses on new domestic and diplomatic options. Why would you want to fight with these guys when you could slip them cash instead? Looking to take over the world by fear and force? You’ll need to play one of the best strategy games on PC. The key new element of the expansion is the Estate system, where you can pass off control of your provinces to local factions, such as priests, nobles, or even the Cossacks. By sacrificing cash flow, you receive lower unrest in the provinces, an increase in manpower, and potentially even cheaper cavalry units. Factions are not to be trusted though: if they gain too much power they may turn your provinces against you and make a move on your leadership. Other additions coming in The Cossacks expansion include the ability to set public attitude to foreign powers, designate places of interest to build trust with allied nations, set policy for colonial encounters with native populations, and new spy actions to help your espionage approaches. Tengri is now a Syncretic faith, and can be tolerated as a secondary religion as if it were a national faith. Cultures can be restored to a converted province, or they can adopt a culture that is not your own. And Nomadic nations must pay attention to the horde unity of their tribes by engaging in the odd bit of pillaging. 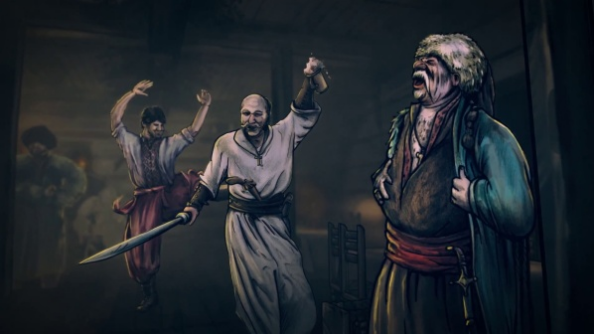 The Cossacks will be added to the Paradox store in late 2015, and will be accompanied by a free update for all players.